You may be thinking that 3 dates was rather excessive however with Arctic Monkeys being the amazing band that they are and me compulsive spender I am, it was always going to happen. The last time I saw Arctic Monkeys was on their AM Tour in 2013, so to say that this tour was a long time coming is a massive understatement. As far as albums go, Tranquillity Base Hotel and Casino is my favourite Monkeys album and is definitely up there with my favourite albums of all time. The album is filled with clever one liners with the sound of The Last Shadow Puppets and nothing like the band have done before. I noticed at all three gigs people seemed to get a drink or go to the toilet whenever TBHC tunes came on which I really don’t understand, if you don’t like the album, why would you buy tickets for the album tour? ● Star Treatment ● Arabella ● R U Mine? Starting with the an intense beeping sound and red lights, my excitement was unreal, seeing the large Tranquillity base symbol making its way down towards the stage, I knew an album tune was on its way. 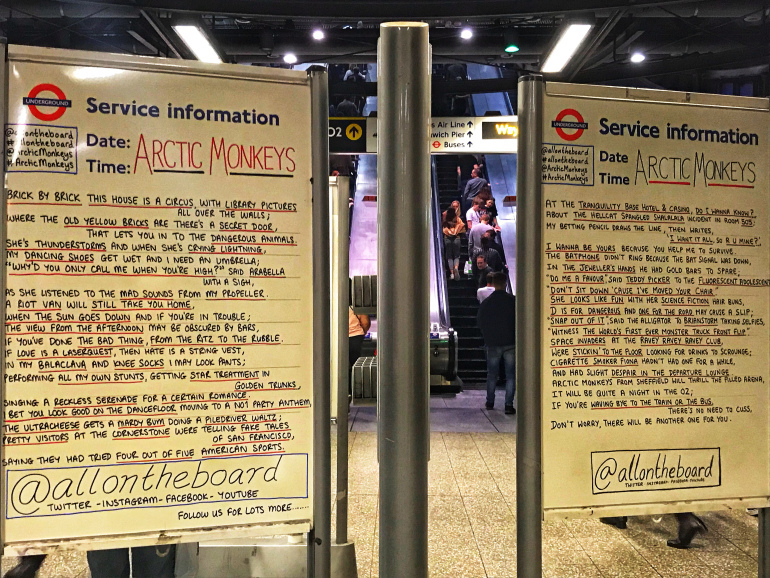 Although the TBHC tunes aren’t the banging tunes you find on The Monkeys discography eg; Library Pictures, Don’t Sit Down ‘Cause I’ve Moved Your Chair, you can’t deny that they are the perfect sing along tunes. I liked the mix between the old and the new stuff as it reminded me of when I was younger and how much I love Alex Turner and his ever changing barnet. 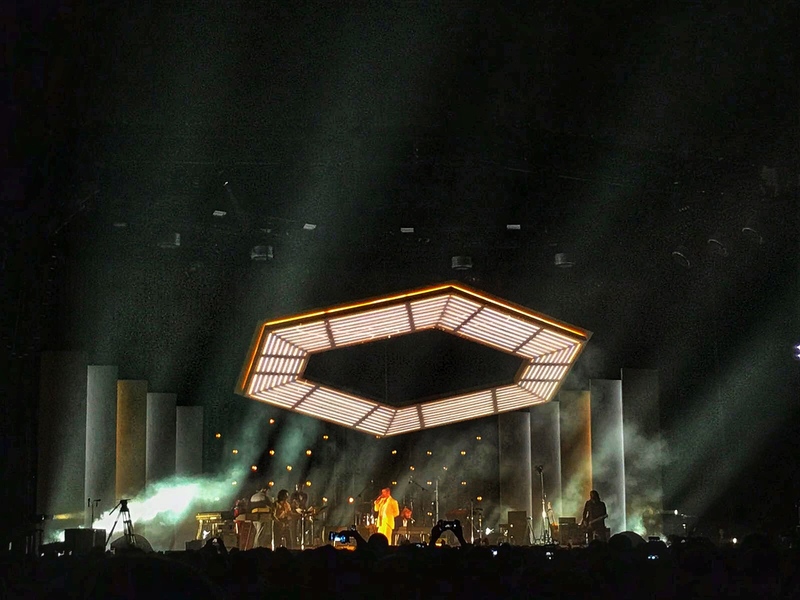 ‘Science Fiction’ is one of my favourite songs on the new album and after watching many YouTube videos of other gigs, I wasn’t holding out hope to see it live. So to see the live debut of the song made my night (and probably life). I also loved how they stuck to the theme of TBHC throughout the gig, from the crew in orange boilers suits, which I really wish I had, to the vintage recordings of the band on the big screens. I love going to gigs in Manchester and can’t wait to (hopefully) live there next year so this was the perfect place to start the trio of shows I had planned. After seeing Biffy Clyro at the O2 seated two years ago, I was so excited to finally get to stand in the crowd that I was so eager to be in. On the 12th September The Monkeys were joined on stage by the one and only Miles Kane for 505 so I was really hoping he’d make a surprise appearance again but no such luck. ‘The Ultracheese’ is one of my favourite songs on the new album so after hearing the studio version so many times, it was a real highlight seeing/hearing it played live. During ‘Why’d You Only Call Me When You’re High?’ Mr Turner received a little gift, not mine I promise. Of course, he even made that look effortlessly cool (https://www.youtube.com/watch?v=U3MwKrT9q2w). I really wanted one of the limited edition Arctic Monkeys, Big Issue’s but couldn’t seem to find it anywhere so looking at Alex Turner for hours on end will have to be limited to the internet for now. ● Star Treatment ● I Bet That You Look Good On The Dancefloor ● R U Mine? There’s nothing quite like seeing a band in their home town; the energy from both the band and the crowd is always on a complete different level to that of any other location. This was no except for The Arctic Monkeys in Sheffield. Although the setlist was similar to the other two gigs, the band brought something entirely new to the stage on their home turf. Mr Turner as always was on top form, swinging his hips and being the true performer he is. I was delightfully surprised that he was sporting a classic AM style leather jacket; as long as it stops at that and the slicked back hair doesn’t make a return, I’ll be happy. I have to say that out of the three, this was by far the best, but that was to be expected. I was going to try and joke and give this tour Four Stars Out of Five but who am I kidding? 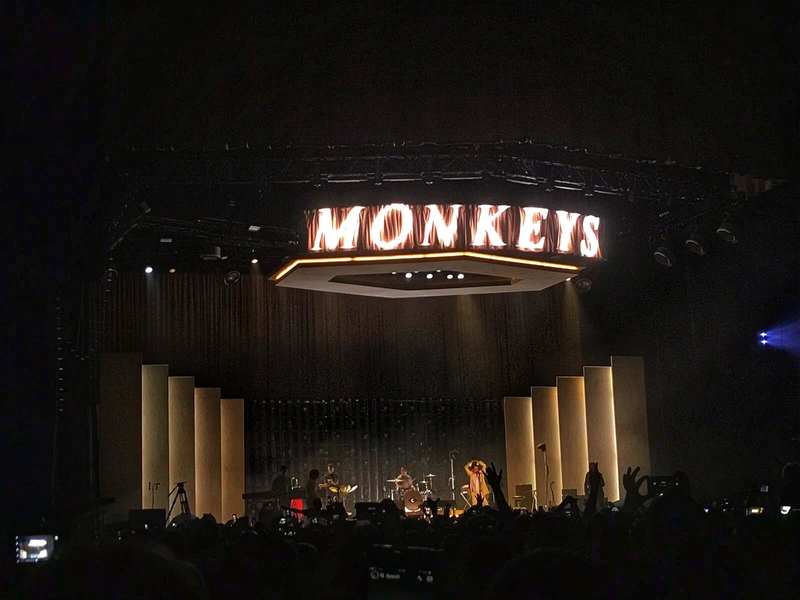 Anyone who has ever seen The Arctic Monkeys knows they are flawless and truly at the top of their game; long gone are the boys in polo shirts and trainers; welcome the new Monkeys, all suited and booted. The Predator is a Tasty, Provoking, Exciting Experience and the Film isn’t Bad Either. Whoopsie! Week 3, 4 & 5? Embrace it!